Coffee farming is a family tradition for Marcos, a third-generation coffee grower. 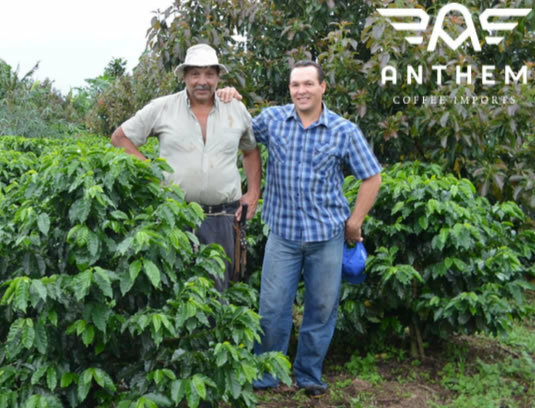 His family believes in producing coffee that can exceed the expectations of the most demanding consumers. In 2011, in an effort to survive the challenges of being a small producer, the Oviedo's invested in a Penagos micro-mill. This allowed them to maintain tighter control on as many aspects of the quality chain as they could, before delivering the coffee to Tesoros dry mill in Cartago. This farm is graced by the gentle weather of the Central Valley coffee zone of Grecia, Costa Rica. The farm is surrounded by land used for a diverse number of crops like bananas and honey. There is also protected areas that encourage a positive co-existence between farming and conservation efforts.